Learn the basics of chronic kidney disease (CKD) and take steps toward living a kidney-friendly lifestyle. Kidney disease affects one in seven Americans—you’re not alone1. Learn the basics of chronic kidney disease and take steps toward living a kidney-friendly lifestyle. A kidney’s job is to filter waste, balance your body’s fluid content, produce hormones, control your blood pressure, produce urine and keep your bones strong. If you have CKD, your kidneys lose their ability to function and cannot effectively remove waste from your body. How did I develop kidney disease? Learning about the root causes of kidney disease can help you get the right treatment and potentially preserve remaining kidney function. Are you affected by any of the conditions below? Polycystic kidney disease (PKD), autoimmune diseases, birth defects and other genetic diseases can cause CKD. Glomerulonephritis is a disease in which the kidney becomes inflamed and damaged. Are you at risk for developing CKD? 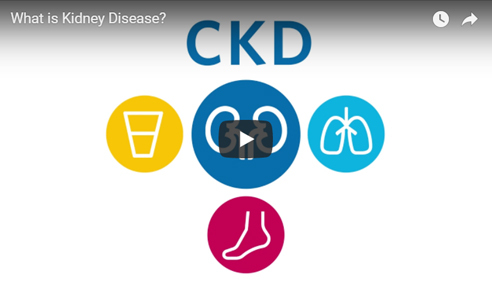 Find out if may be at risk for developing CKD by taking the Kidney Disease Risk Quiz. How do I know the stage of my CKD? Medical professionals determine the stage of your kidney disease by measuring your glomerular filtration rate (GFR), which shows the amount of creatinine (toxin) in your blood. When kidneys are functioning properly, they remove creatinine from the blood. As kidney function slows, blood levels of creatinine rise. Because kidneys can do their job even when they’re not functioning at 100 percent, you may not know you have stage 1 CKD. In stage 2, there are usually no symptoms to indicate the kidneys are damaged. You may find out about your kidney disease while being tested for another condition. In stage 3, you are more likely to develop complications of kidney disease such as high blood pressure, anemia and/or early bone disease. If you have stage 4 CKD, you have severe kidney damage and it is likely you will need to seek treatment soon. Use the DaVita Treatment Evaluator to find a treatment option that works for you. Stage 5 is considered end stage renal disease (ESRD), where the kidneys have lost nearly all their ability to function effectively. Treatment is necessary at stage 5. Learn about your treatment options and find one that works for you with DaVita Treatment Evaluator. 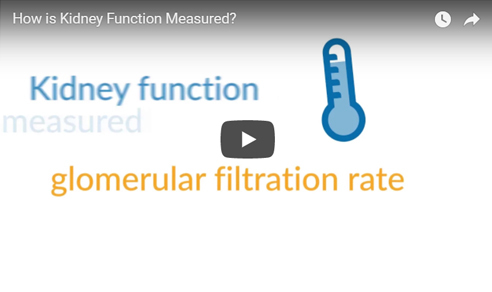 Calculate your glomerular filtration rate (GFR) to help you determine which stage of kidney disease you're currently in. Can I slow the progression of my kidney disease? Exercise, quit smoking or take medication (as prescribed by your doctor). For people with diabetes, take medication as prescribed, use insulin injections, and follow the diet and exercise plan prescribed by your doctor. Develop an exercise routine and follow a kidney-friendly diet. Learn more about diet and nutrition. Now that you know the basics, take these steps to learning more about kidney health. Use myDaVita to connect with patients, care partners and kidney care specialists for support. Have questions about kidney disease? Get them answered at a no-cost kidney education class. Be proactive about your kidney health and talk with your doctor about CKD. Disclaimer: This article is for informational purposes only and is not intended to be a substitute for medical advice or diagnosis from a physician. 1. 2017 Kidney Disease Statistics, National Kidney Foundation. | 2. 2017 CDC National Center for Chronic Disease Prevention. | 3. USRDS 2011 Atlas of ESRD. | 4. 2017 CDC National Center for Chronic Disease Prevention. | 5. 2017 CDC National Center for Chronic Disease Prevention. | 6. 2017 CDC National Center for Chronic Disease Prevention.